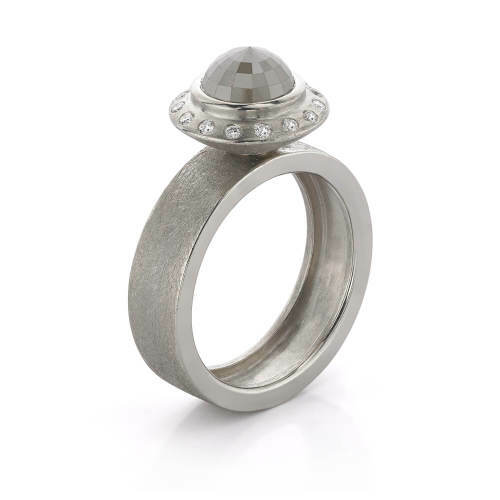 Palladium ring with colorless diamonds 0.11 ctw. Natural color rose cut diamond 2.32 ctw set in halo setting. Width 5.75 mm, texture finish.